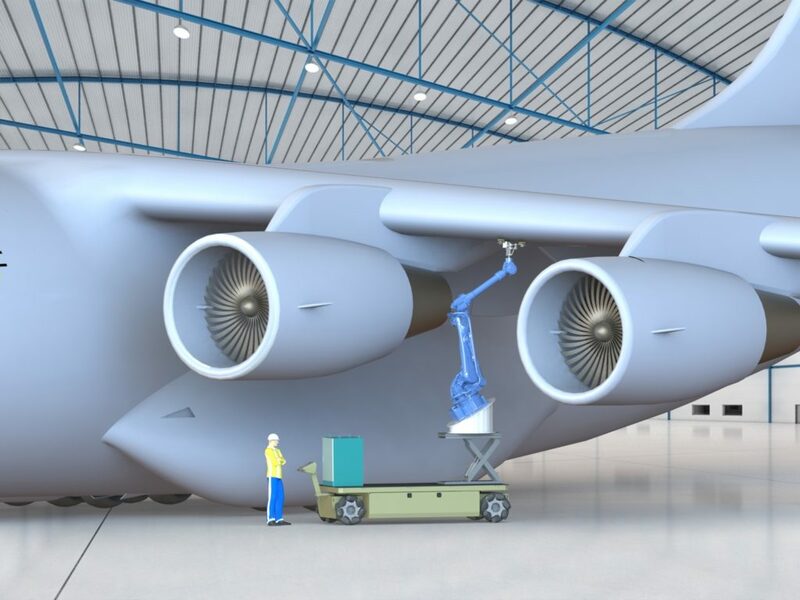 December 14, 2016 – A team from National Center for Defense Manufacturing and Machining (NCDMM), The Boeing Company, and Southwest Research Institute (SwRI) were awarded a $6.7 million contract to help the U.S. Air Force develop software and technology to make advanced robotics reusable for a variety of aerospace manufacturing and maintenance processes. NCDMM will manage the four-year program. Boeing will provide process development and tooling expertise. SwRI will develop software using the open-source Robot Operating System Industrial (ROS-I) platform and will integrate all the subsystems on a large mobile manipulator robotic platform. Boeing’s technology center in South Carolina will provide equipment focused on agile automation development including mobile robotic platforms, robotic manipulators, machine shop, and production aircraft materials for development and testing. “Using ROS-Industrial, we can dramatically reduce the amount of manual programming and intervention needed to implement advanced automation,” Hvass said. As the primary framework, ROS-Industrial allows the team to quickly integrate the advanced capabilities of ROS with industrial hardware to enable robotic programs that perceive the aircraft, automatically plan tasks and associated robot motion, and reliably execute those plans. SwRI maintains the ROS-Industrial software repository and manages the ROS-Industrial Consortium with over 40 members in academia and industry-member groups around the world.